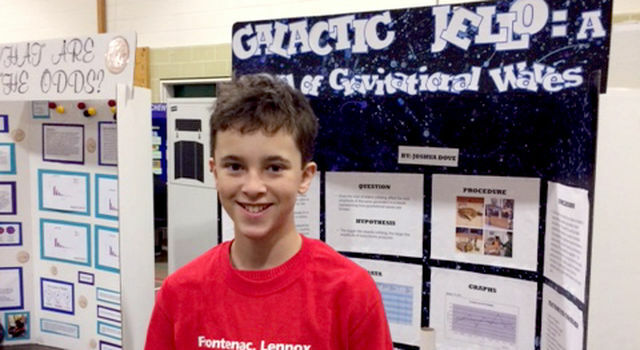 Joshua Dove, 13, says he originally planned to explore the effects of storage temperature on golf balls until his grandfather, a space enthusiast and environmental consultant, saw a Caltech news story he had to share. The story was about how an instrument called LIGO had detected gravitational waves for the first time, confirming a key piece of Einstein’s 1915 general theory of relativity. 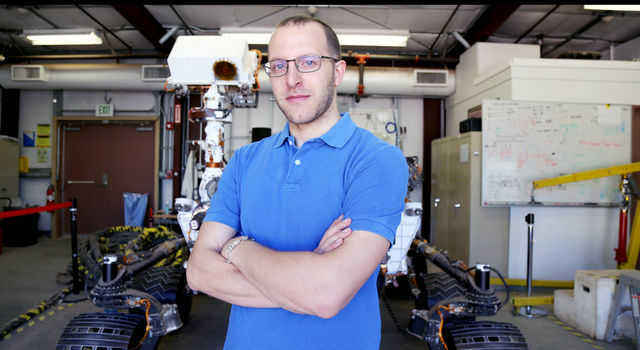 A web search led Dove to the JPL Education website and its “Dropping In With Gravitational Waves” activity, where he learned how to model the gravitational wave discovery using gelatin, a laser and marbles. 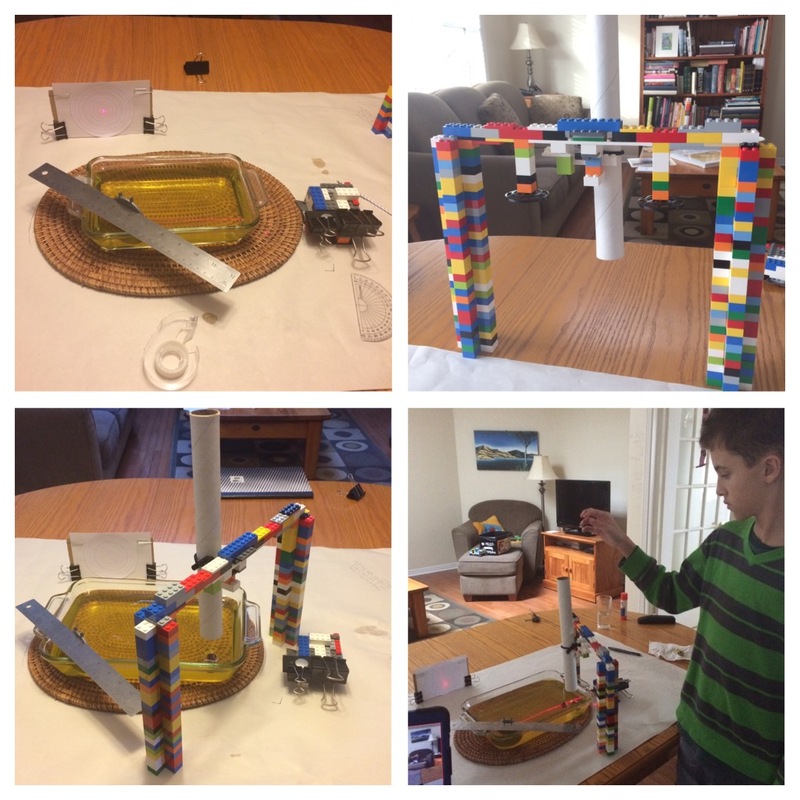 Dove made modifications to the JPL Education activity for his science fair project, including using Legos to create a device that could drop a marble from different heights. He says figuring out how he needed to alter the design was his favorite part of the project. With the help of his mom and grandfather plus a few tips from Tavernier, Dove was able to modify the lesson for his science fair project, which looked at whether the model would show consistent and predictable variations in the movement of the laser (gravitational waveform) depending on the energy released during a marble (black hole) collision. “There was a trend that suggested the greater the weight of the impacting object, the larger the amplitude of the waveform,” said Dove, noting in his abstract that there were some inconsistencies in the results that would require more testing. He plans to do that this summer. After presenting at his school’s science fair, Dove was asked by his teacher to enter the regional competition, where he won an award from the Royal Astronomical Society of Canada. Dove’s mom says the win was a big confidence booster for her son, who hopes to eventually work at NASA or become an inventor. “I would like to invent things that would help people affected by a natural disaster,” he said. As far as advice for other science fair participants, Dove says, “Don't be upset if you don't get the results you are expecting, and don't be afraid to make modifications to your experiment.” In fact, he says it was working through the modifications that turned out to be his favorite part of the project. Watch our how-to video series to get started! His other advice: “Have a good mentor.” Or in Dove’s case, three. In addition to support from his grandfather and mom, it was Dove’s older sister, a science fair winner herself, who encouraged him to enter the regional competition. And thanks to the encouragement, Dove has no plans to stop now. “I would like to learn more about detecting other intergalactic phenomenon,” he said. 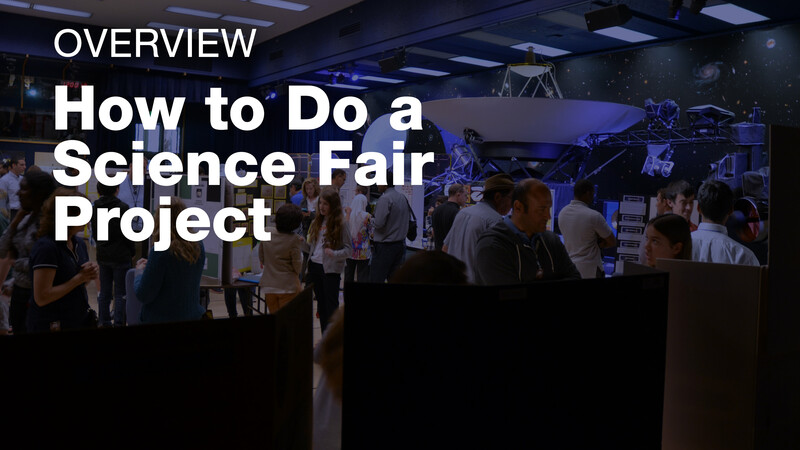 For tips on creating a winning science fair project, watch JPL Education’s “How to Do a Science Fair Project” video series. › Get tips for turning NASA mission and science news into lessons for the classroom. 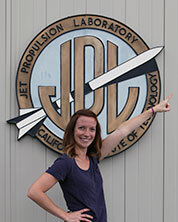 The laboratory’s K-12 education initiatives are managed by the JPL Education Office. 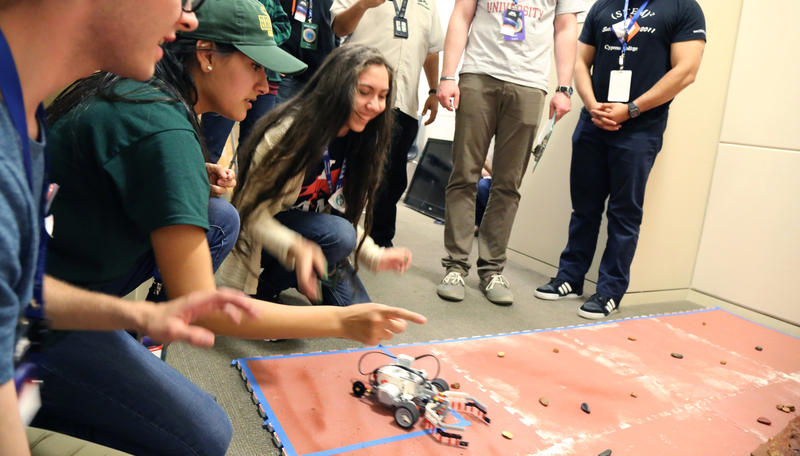 Extending the reach of NASA’s Office of Education, JPL Education seeks to create the next generation of scientists, engineers, technologists and space explorers by supporting educators and bringing the excitement of NASA missions and science to learners of all ages.